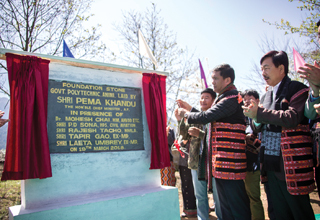 ANINI, Mar 19: Chief Minister Pema Khandu has laid the foundation stone for a Vivekananda Kendra Vidyalaya (VKV) school and a Government Polytechnic College while on a maiden visit to the border district. Addressing the citizens, the chief minister said VKVs have made immense contribution towards educational development in Arunachal and therefore, he would continue to support VKVs. He said Arunachal has 36 VKV schools for which the state government has contributed corpus fund for smooth functioning of these schools. He further said the Home Ministry has sanctioned Rs 5 crore each for upgrading the existing VKVs at Amliang, Niuasa, Koloriang and Chayangtajo, while Rs 15 crore each has been granted under BADP for four new VKV schools in the state. The other new VKVs to be opened are at Lajo, Nafra and Mukto. The chief minister also assured support for construction of the Government Polytechnic. PWD officials also briefed the chief minister on the master plan for construction of the college. Earlier, the chief minister met members from the Idu Mishmi Cultural and Literary Society (IMCLS) and VKV Alumni Association of Dibang Valley. The organisations thanked the chief minister for his contribution towards establishment of VKV in Dibang Valley. The chief minister also said that to make Anini a tourist destination, construction of 2-lane Roing-Anini highway would be expedited. He said this while welcoming new members to BJP which included Zilla Parishad Chairperson Dipen Molo. 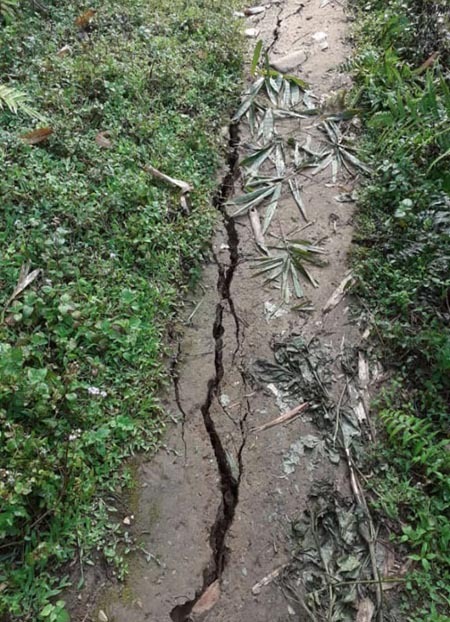 While comparing the natural beauty of Anini with Tawang and Mechuka, the chief minister said that for tourism to make progress in Anini, there has to be good connectivity. On a memorandum submitted by the local public, the chief minister assured to take on priority for hospital building, 100-bedded boys hostel and a multipurpose hall. He further assured that all infrastructures requirements for health and education sector will be taken on priority and urged that all development schemes be brought through district planning board.